First let me get this out of the way. The fishing stunk so don’t expect any fish photos. Well we did catch a few small fish but nothing of note. I had fished out of the IPB 16 in the past and heard they had a 14′ version out. Since anyone can post press release information, I like to hold judgment until I have actually ridden in one or at least seen one in person. I mean what good is write up on a product the person has never even seen. Pretty useless in my opinion. It was not until this Saturday that I had set foot in the IPB 14. It was also my first time seeing it in person. My buddy Dan had bought one and he seem to love it. Dan is an avid fisherman. 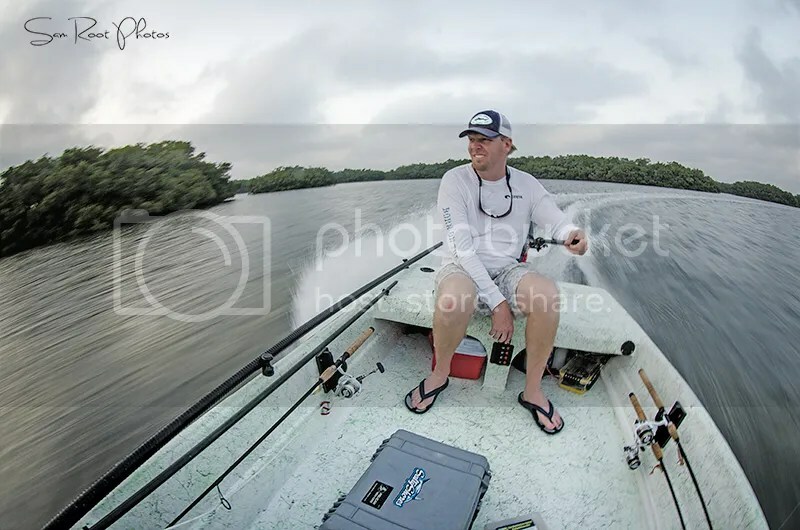 He a long time fisherman, fishing tournaments and currently works in the industry as well. The guy knows how to fish and has been in a bunch of boats. So when he said he loved it, it had a me a bit curious. At $1800 for the hull it’s a heck of a price as well. We took it out in the afternoon and fished from 4pm until sunset. 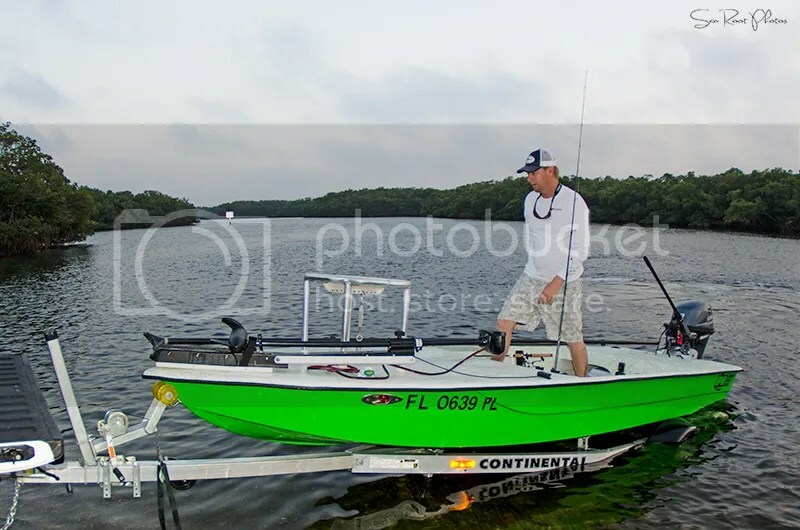 The boat had a 20hp Yamaha, jackplate and a 45lb thrust trolling motor. I’m 195 and Dan is probably 180 lbs. He told me, with him alone he can get 30mph. For a 14′ boat that is quite adequate IMHO. Though not stable like the 16′, it was not too bad and very fish able with out being too careful. Two anglers can definitely fish the bow via trolling motor. 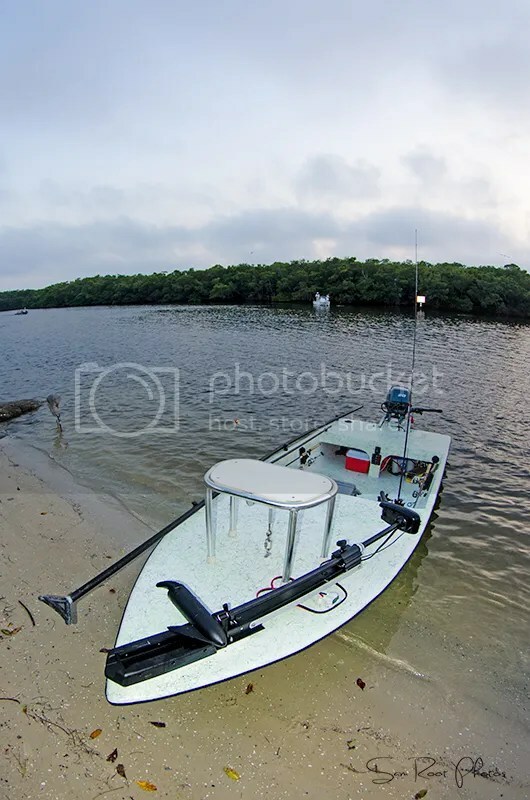 The boat did not have a poling platform so I couldn’t tell you how it poled. 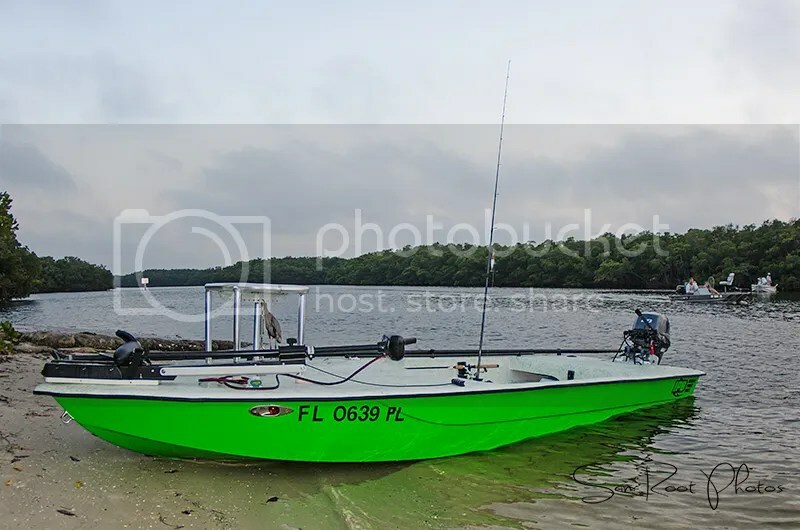 Fit and finish is similar to a Carolina skiff but at $1800 I really did not expect a fully get coated boat. The middle of the boat had some flex as we were running. It got on plane easy with 2 people and draft was respectable (though I did not get out to measure it). Though I’m not 100%, I am thinking the finished fish able package will run about 5500-6,000.00 boat, motor trailer. Here are a few photos along with specs. Also here is their website if you have more interest. Choice of any color you want.